Arrgh – we have been boarded! We have a pirate on board! Ok, a little bit of humor at work. 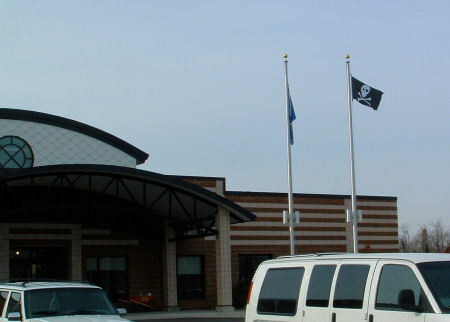 I noticed this a few days ago – we have four flag poles in front of my office – for some reason we seem to have become pirates! Interesting!